Marvel's epic Secret Empire event has already been extended once, but it looks like the controversial Captain America story will go on even longer thanks to Secret Empire Omega #1. What originally started as a nine-issue series and countless tie-ins had previously been extended with a tenth issue depicting Captain America's new Hydra armor on its cover - suggesting his reign as Hydra's leader wouldn't be stopped by story's end. At least, Steve Rogers wouldn't be returning to the version of Captain America fans actually love. But with the release of the cover art for the new Omega issue... well, fans will be able to spin whatever theories they wish. When an issue is described as something of an epilogue dealing with the "Aftermath" of a major event, there will be some readers who feel it a less-than-necessary read. For the cynics, it's merely a chance to extend an event's branding for one more week or month. But with writer Nick Spencer and artist Andrea Sorrentino remaining on for Omega, and announced to contain 40 pages, it's looking more and more like the creative team may be saving some of their biggest, or most pivotal closing words or events for the very end. SECRET EMPIRE AFTERMATH! Hydra has fallen, but the world is still not secure! As the heroes of the Marvel Universe stir from the wreckage of the battlefield, the inevitable rebuilding must begin. However, one question hangs in the air over the proceedings: What redemption can there be for Captain America? The art is impressive to behold, showing another instance of Captain America's heroic roots and his rise to the apex of Hydra's leadership at odds, leaving Steve Rogers the man physically torn apart. What's worth noticing is that where the artwork for Secret Empire #0 depicted the now-infamous image of Steve stride a similar battlefield, with his chest insignia torn away to reveal the Hydra badge beneath, the cover to Omega shows the inverse. It's not an exact flip, but it's clear that Cap's Hydra threads are being torn away to reveal the red, white, and blue uniform that still rests beneath. 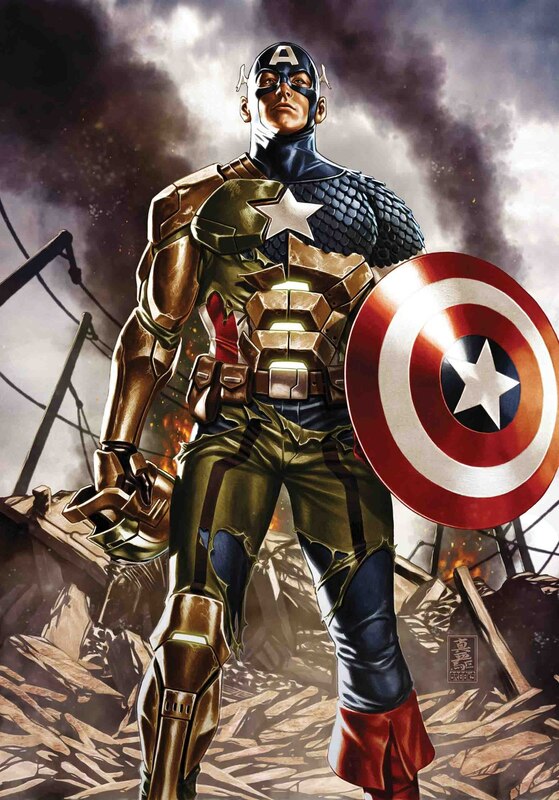 The fact that the uniform in question looks to be Steve's older, fish-scale armor (a match for Ed Brubaker's Captain America, for instance) could also hold the secret meaning to what twists Spencer has on the way. 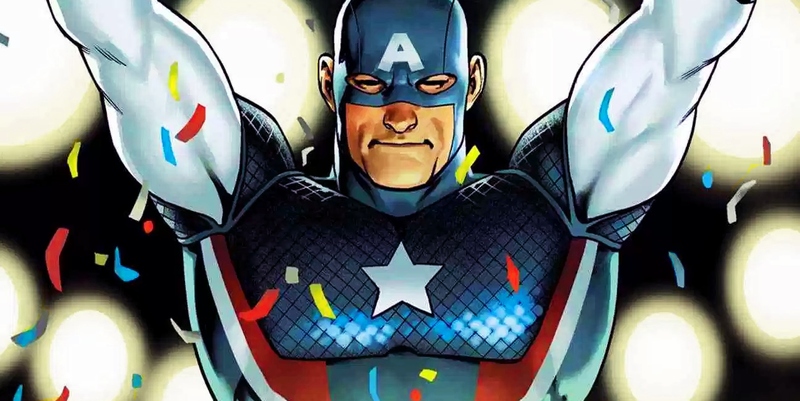 Fans have theorized that it won't be this corrupted, Nazi-supporting Captain America who actually remains in the Marvel Universe after Secret Empire, but a Captain America from another universe who saves the day. It's all just conjecture and speculation based on artists' individual flourishes, but we have little doubt that Omega will keep the Marvel fans guessing (the ones that haven't already decided to sit this one out until all is said and done). Until the issue arrives, those who are enjoying the unpredictable event have several issues to look forward to in the main Secret Empire and Captain America: Steve Rogers series, as well as the endless tie-ins that have shown Deadpool kill an MCU favorite, and even promote Wade Wilson to Hydra's top bounty hunter. The event has also seen the original Avengers have it out over Ant-Man beating his wife, so it's an understatement to say that it will take some time for the dust to settle in the Marvel Universe. Where its heroes, villains, countries, and its Steve Rogers remain when that day comes... well, we're done making predictions. Secret Empire Omega #1 will be released on September 27, 2017.